Today, Thursday December 27 2018, at 7pm EST (00:00 UTC) the second installment of the Internet Society Livestreaming’s ‘12 days of Streams‘ annual highlights features Bruce Schneier discussing his new book “Click Here to Kill Everybody: Security and Survival in a Hyper-connected World”, in a Google Talk. Bruce lays out common-sense policies that will allow us to enjoy the benefits of this omnipotent age without falling prey to the consequences of its insecurity. Today Monday May 18 2015 the Institute for International Economic Policy at The George Washington University (IIEP) and the Greater Washington DC Chapter of the Internet Society (ISOC-DC) will jointly host The Future of the Internet in the Wake of Charlie Hebdo and Increased Government Surveillance Online – a lunchtime discussion between Bruce Schneier, noted authority on cybersecurity and Chris Riley, Vice President and Head of Public Policy at Mozilla, on how increasing surveillance and use of malware could impact the future of the Internet. The event will webcast live on the Internet Society #2 Livestream Channel. After Glenn Greenwald first received his stash of secret documents from Edward Snowden, one of the first people he consulted was security expert, cryptographer, and writer Bruce Schneier, who helped him review and digest the documents. A few weeks back we saw Bruce give a briefing on Capitol Hill in Washington DC, where he advised lawmakers to rein in the NSA, and the Internet community to pro-actively design countermeasures. 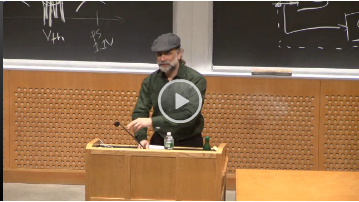 On December 12 2013, as a follow up to his Snowden and the Future talk series Eben Moglen hosted A conversation with Bruce Schneier at Columbia Law School. They talked about what we can learn from the Snowden documents, the NSA’s efforts to weaken global cryptography, and how we can keep free software tools from being subverted. The talk was webcast live via the Internet Society Chapters Webcast Channel, and video is below. Hopefully a transcript will be available soon.